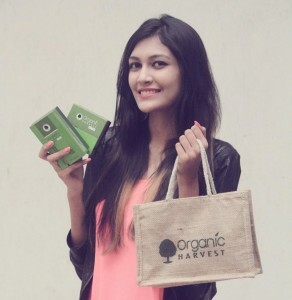 Just 2 months back, Organic Harvest launched its new ‘Activ Range’ with 14 products under it. All these 14 products tackle specific problems of specific age groups. While some can be used commonly, others are made keeping in mind certain issues we women face daily. Basically there are 7 products and each has a serum and a cream version, making it a total of 14 products. So you’re at ease to choose what you like and what suits you. Honestly this is like my third collaboration with Organic Harvest. I keep coming back simply because the products are all organic, as the name suggests and made of natural ingredients. I recently also supported their #NoChemicals campaign as who wants to ruin their skin using harmful substances? Our skin is very sensitive and it shouldn’t have to go through torture. 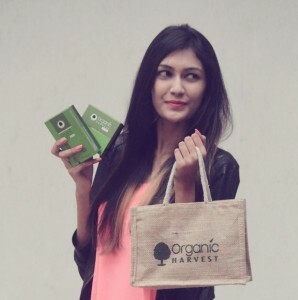 So I joined #SayYesToOrganic and have ever since been a fan of the brand. Slowly but gradually the products have shown a visible difference. But well, natural is always slow yet beneficial so I don’t mind. 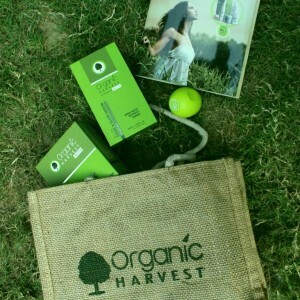 I’d like to share my experience of the two products that Organic Harvest sent to me to review. Activ Range – Blush Shine and Glow Cream and Serum. First of all, how can I not compliment their packing?! It is so classy yet simple! Perfect to subtly comment on how luxuriously elegant their products are. The one on the left is the cream (with berries extract) and the one on the right is the serum version (with gold dust) of this product. Now as we all know, the cream version is always more expensive than the serum version but if you have an open budget, you should choose both. If you are on a tight budget, you should choose one which suits you, instead of what is more affordable. The cream is priced at INR 1495 while the serum costs INR 1195. Usage: For best results, generously apply the cream using the fingertips evenly on the face and neck in an upward direction, twice a day followed by Shine and Glow Cream. Here’s what Organic Harvest claims: Go an extra mile to lock the rejuvenating effect imparted by daily cream with this miraculous water-like serum! The beautiful concoction of Gold dust with Beet root extract and Iris root extract imparts radiant glow while smoothing out the signs of dullness. The concentrated nutrients work in multi-fold by penetrating deep into the skin, bringing sheen for a prolonged time. Here’s what I think: The Serum has a very light texture and blends into the skin leaving a very smooth finish. It can also be used as a Primer, as base make-up to the build-up layers. It gives an instant glow and stays for quite a few hours. The fragrance it has is quite rejuvenating and it freshens our face up. Small quantity does the trick, there is no need for a lot of the serum to be used and thus a 30 ml bottle lasts quite long. This water-like serum does have the qualities that it claims to have and is thus is a very good product to be used regularly to bring that shine and glow you so deserve! Usage: For best results, generously apply the cream using the fingertips evenly on the face and neck in an upward direction, twice a day followed after Shine and Glow Serum. 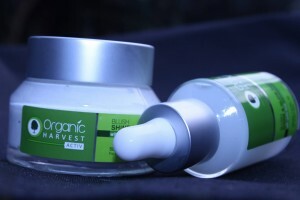 Here’s what Organic Harvest claims: Drench your flawed skin in this happy potion for an everlasting rejuvenated effect! The glamorous blend of Beet root extract and Bearberry with a trace of Iris root extract helps the skin retain back the moisture and elasticity, thereby, conceals skin imperfections and adds natural freshness, moisture to the skin. The exotic aroma and smooth texture of this product will leave your skin feel delighted throughout the day! Here’s what I think: This product is great for people with dry or dry to normal skin but a person with oily skin might not like this one so much. I have to admit, me being a normal to oily skin person, I prefer the serum better. While I mostly use them together, on many days I prefer only the serum as that has a water-like texture and blends so well! This one has the same fragrance as the serum and has the same qualities of getting that shine and glow back to your skin. It gives you a refreshing start to a good day and makes you and your skin feel fresh and happy. While I prefer the serum because of its texture, the cream has its perk of concealing impurities better. Due to a bit of the greasy texture the cream has, it is able to hide small pores, acne as well as other impurities on the skin acting as a concealer. Overall: My take on these two products would be to try using them as a primer (serum) and concealer (cream), if it suits you. It has worked for me so far although I do apply primer separately sometimes. If you have to go for any one due to your budget, then choose what your skin accepts as at the end of the day, this is your skin’s food and your skin should know better what it likes. If you have a budget to afford both, you should definitely try using them as suggested by Organic Harvest, one after the other, to ensure best possible results. Availability of choice according to what suits you. Natural, organic products. No chemicals. Fragrance is good so I don’t mind applying it everyday. While these are affordable enough for upper middle class, layman might not be able to buy such products. Slow process, won’t show any difference unless used regularly. So just like any other beauty product, this one has its pros and cons but you can decide if or not the pros outweigh the cons for you. They did for me and thus I continued using these products. If these are not the ones you are looking for, you can always look up for more on Organic Harvest website or their physical stores. From skin, hair, body to lip care, they have something to cater to everyone’s needs. I am also going to be reviewing their other products soon, so stay tuned and don’t forget to subscribe to my website to stay connected! If you’ve used these products or any other products of this brand and want to share your views, whether good or bad, don’t hesitate to share with us on aashnamalanii@gmail.com and we might just share your views on our website! To work with us and share your reviews with our followers, send us your resume and contact details on the same email id. This is not a sponsored post. The product has merely been sent for review. The review is our personal opinion and we are in no way forcing it upon anyone.